Our sponsors are great partners in the pet industry and individuals we have known and worked with for many years. Their support allows us to provide a quality pet care seminar at an affordable rate. During the seminar you will get more information from each of them and we highly recommend they be your first call in their area of expertise. 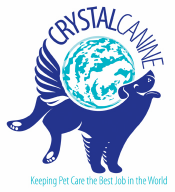 Crystal Canine is a resource to the pet care industry offering staff training tools, coaching, and consulting services. Susan Briggs is founder of Crystal Canine and has been led to share her knowledge, resources, and experience with other pet care business owners. With over ten years experience in managing a full-service pet resort, Susan understands the needs and challenges of the pet care service business owner and manager. She wants you to feel every day that “pet care is the best job in the world” so select the tools that will bring you the joy envisioned when you started your business. 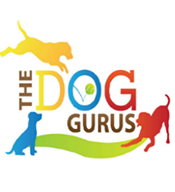 Dog daycare gurus Robin Bennett and Susan Briggs, co-authors of Off-Leash Dog Play: A Complete Guide to Safety and Fun, have teamed up to create The Dog Gurus, a new venture aimed at making the lives of dog pros who oversee off-leash play much smoother. They’ve created a comprehensive online staff training materials that includes specialized tutorials, video case studies, live phone calls, and homework lessons to help you and your team build your dog-dog knowledge and hands-on skills. The program aims to help daycares, shelters, trainers and anyone offering playgroups raise the safety bar for off-leash play, reduce injuries to staff and dogs, improve dog behavior, and slow staff turnover. 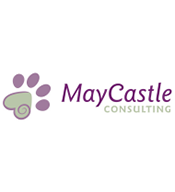 MayCastle Consulting, founded by Gretchen Meienburg in 2008, helps individuals achieve their dreams of operating a highly successful Pet Care Business. Gretchen owns and operates two pet care facilities in Ohio and Indiana. She uses her 22 years in the pet care industry, combined with a network of others, to guide new or existing pet care businesses to successful operations. Specializing in start up, efficient operational procedures, animal health & safety, and software training. 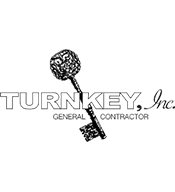 Turnkey, Inc. is a full-service design/build company with expertise that’s perfect for the specialized needs of the pet care industry.